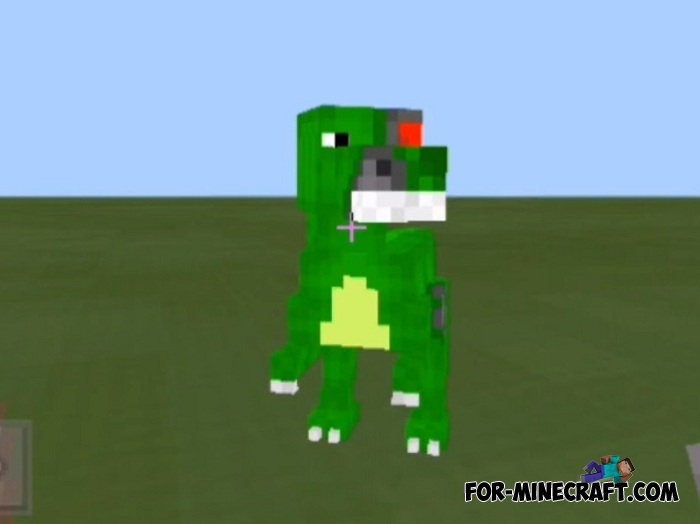 First of all, this is a 4d skin pack which means not the standard form of skins. If the usual 3d skins have precisely defined sizes with elements such as legs and hands, then 4d skins are not attached to any parameters except for some limits. 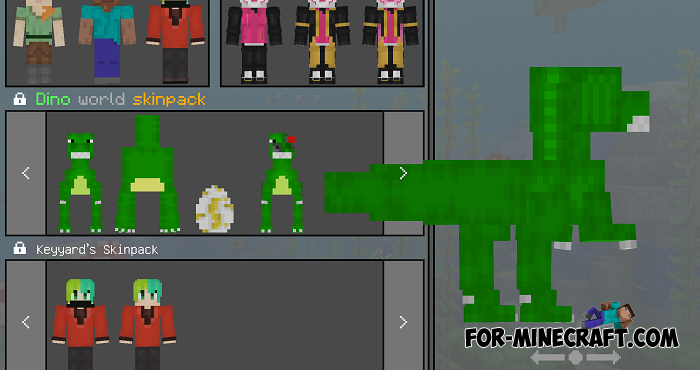 You will find 4 dino skins in DinoWorld namely: Dino, Diplo, Robo and Egg (yes, you can turn into a walking egg). The ability to install and use 4d skins is no longer active in Minecraft PE 1.7, so play more outdated versions of the game (not 1.5 or 1.6). 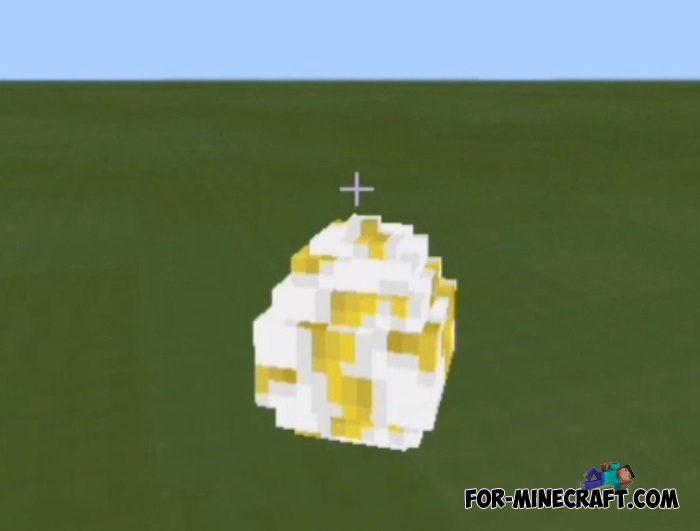 The skins are tested on Bedrock Edition 1.2.2, which can be downloaded from our website. 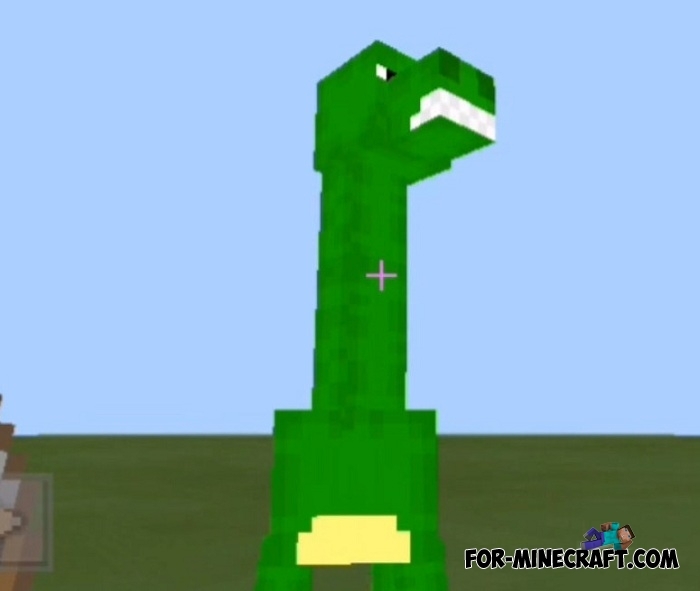 How to install the DinoWorld skin pack?